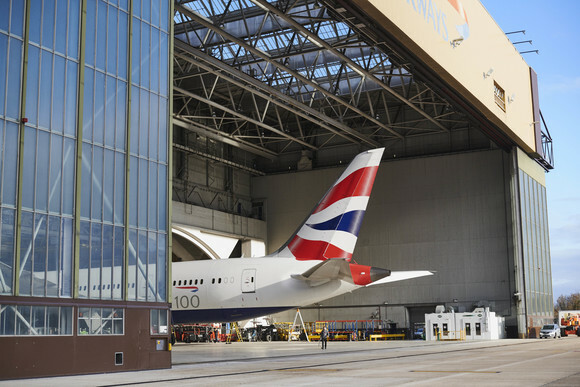 LONDON, UK, 2019-Feb-06 — /Travel PR News/ — 2019 is the year that sees British Airways mark its Centenary – 100 amazing years of taking the world to Britain and Britain to the world. The campaign will first be shared with members of BA’s loyalty programme, The Executive Club at 11.30am on Friday, February 1 and will launch later that afternoon across social media, with TV, broadcaster video-on-demand and cinema roadblock later that evening. This follows a ‘teaser’ phase launched on January 28, running across news websites, social media, national press and digital out-of-home seeding information about the #BA100 flight. Across launch weekend, British Airways will own Twitter First View across a 24-period, and commence a heavyweight presence across TV, broadcaster video-on-demand and cinema, as well as dual screening targeting across social media and search. This entry was posted in Airlines, Airports, Business, Festivals and Events, Flights, People, Travel, Travel Management, Travel Marketing, Travel Services, Travelers and tagged Anthony Joshua, Anthony Watson, Britain, British Airways, campaign, Carolina Martinoli, Centenary, Chris Robshaw, Ellie Simmonds, Gary Oldman, Grayson Perry, Harriet Millar-Mills, Helen Sharman, Jane Goodall, Matilda Ramsay, Nicola Adams, Olivia Colman, Paloma Faith, Riz Ahmed. Bookmark the permalink.